It was a good production and the script is very true to the original, which makes it a bit longer than some versions. The fast past and frenetic activity of the first half slows right down in the second act so the School audiences always get a bit fidgety towards the end. 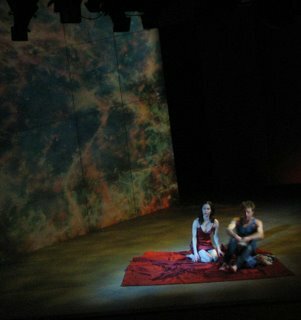 The set is very minimalist with No Balcony, just a slope and a bit of artful lighting but it worked. I caught up with Mary Helen and introduced her to Friar Lawrence (Philip Dodd) who is a talented actor and knitter. 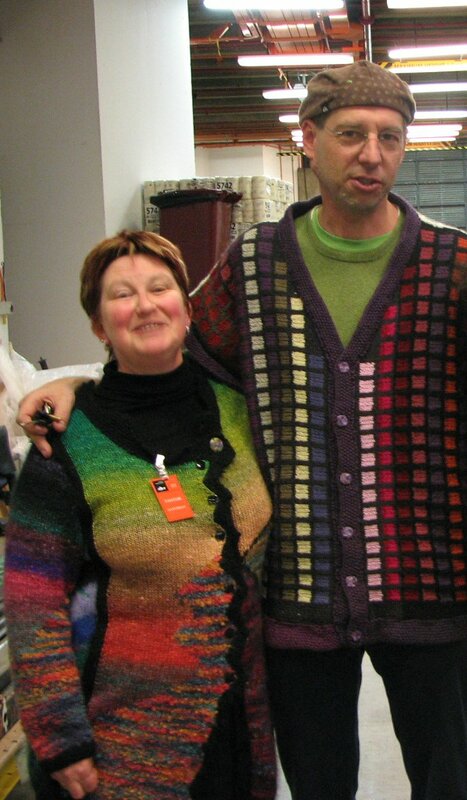 He is wearing a sideways knitted vest of his own design that he modestly described as 'just something to use up some spare bits" while M-H is wearing a beautiful Noro (?) 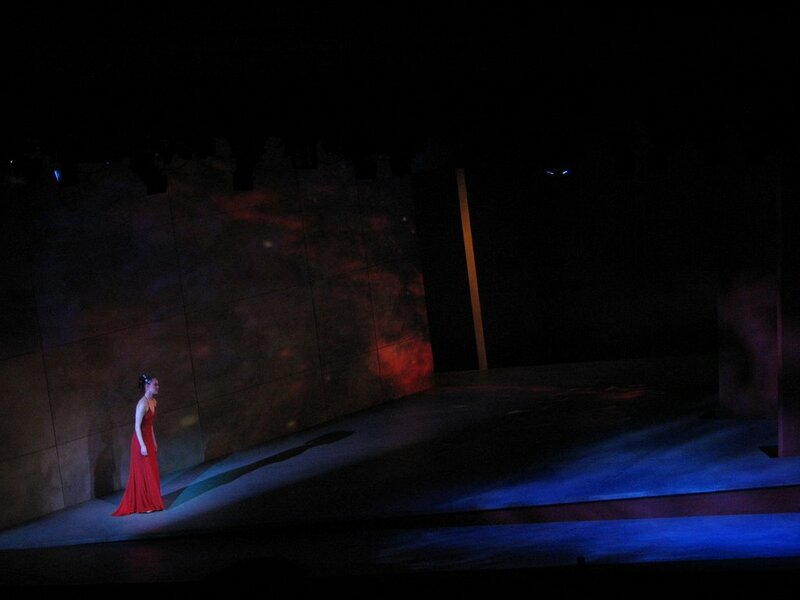 creation of her own - very suitable for going out to the theatre. The Bell company has a few keen knitters within its ranks, both male and female. I'd love to do a study into the relationship of theatre and knitting - maybe it's something about all the time spent waiting or standing by - or all the touring to those small country centres. 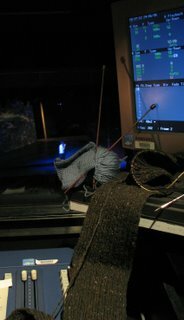 Supposedly there is a superstition associated with knitting in the wings - apparently it's bad luck. I've only recently discovered this and I must say that it doesn't seem to be true as I have been knitting in theatre for over 20 years. And this is from someone who will not mention the 'Scottish Tragedy' within coo-ee of a stage and who freaks out when wished "good luck" before a show instead of "chookas". Maybe I'm selectively superstitious. Great picture of me - not! :) Thanks Kate. Notice you cropped yourself out!